Wet track specialist Art Deco is limbering up for her favourite time of the year. 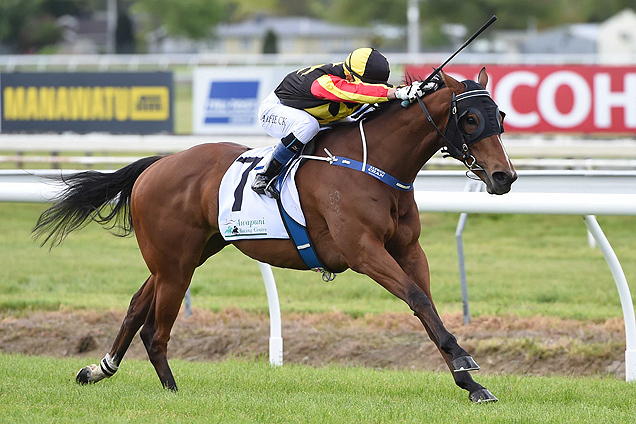 The Taranaki five-year-old was knocking on the stakes door last preparation and trainer Allan Sharrock is confident she can go to another level in the coming months. The winner of five races on rain-affected going, Art Deco hasn’t raced since she finished a close sixth behind Dolcetto in the Gr.3 Boehringer Metric Mile (1600m) at Awapuni in September. “She’ll probably have a trial and I might step her out in the open sprint at New Plymouth next month,” Sharrock said. Meanwhile, the Gr.1 Auckland Cup (3200m) winner Ladies First is thriving during her time off with Sharrock already considering programme options toward the Gr.1 Melbourne Cup (3200m) later this year. “We’ll work our way back,” he said. “Before the Cup she did 9900km and the master Bart Cummings always said to do 10,000km so I wasn’t far off. Sharrock has also been keeping a close watch on his stable star Kawi during the seven-time Group One winner’s time away from the stable.